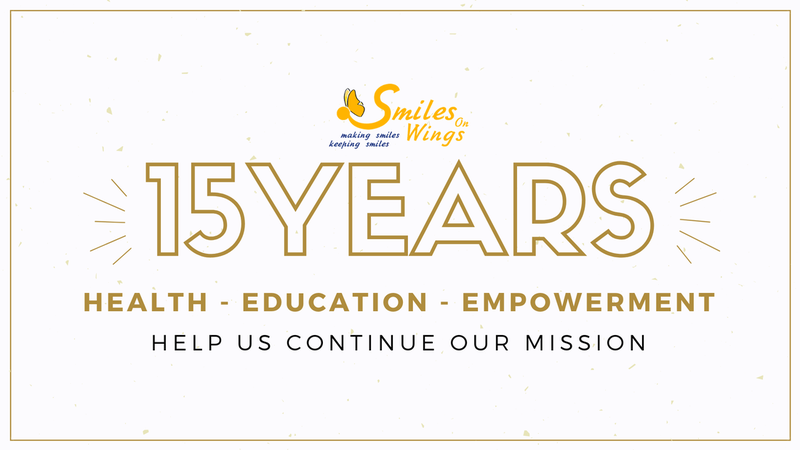 Join Smiles on Wings in celebrating 15 years of making smiles and keeping smiles! "Dentistry allowed us to create Smiles on Wings. In return, Smiles on Wings gave us an opportunity to do more than I had set out to do." Thank you to all of the team members, volunteers, and donors who continually allow Smiles to live out its mission. Here's to another 15 years! ATLANTA, Oct. 16, 2017 — Usa Bunnag, D.D.S., of Bethesda, Maryland, will receive the 2017 American Dental Association Humanitarian Award at the Opening General Session of ADA 2017 – America’s Dental Meeting. The award will be presented by ADA President Gary L. Roberts, D.D.S. Dr. Bunnag is best-known for her organization Smiles on Wings, which has carried out biannual dental volunteer trips to her native Thailand since 2003. In 2014, with partial funding from the ADA Foundation Post-Tsunami Dental Reconstruction Program, Smiles on Wings built a permanent dental clinic to serve the community. Dr. Bunnag’s work in the U.S. has been an equal labor of love. She works extensively with Bethesda-area Medicaid and refugee programs, in addition to serving a Washington D.C. community of Buddhist monks since 1996. The ADA Humanitarian Award recognizes dentist members who have distinguished themselves by giving at least 10 years to improving the oral health of underserved populations in the U.S. and abroad. The award includes $10,000 that is given to the dental charity/project of the recipient’s choice. To learn more about Dr. Bunnag, read this story in ADA News.